The roving sprit has engulfed us and it is time to travel once again. 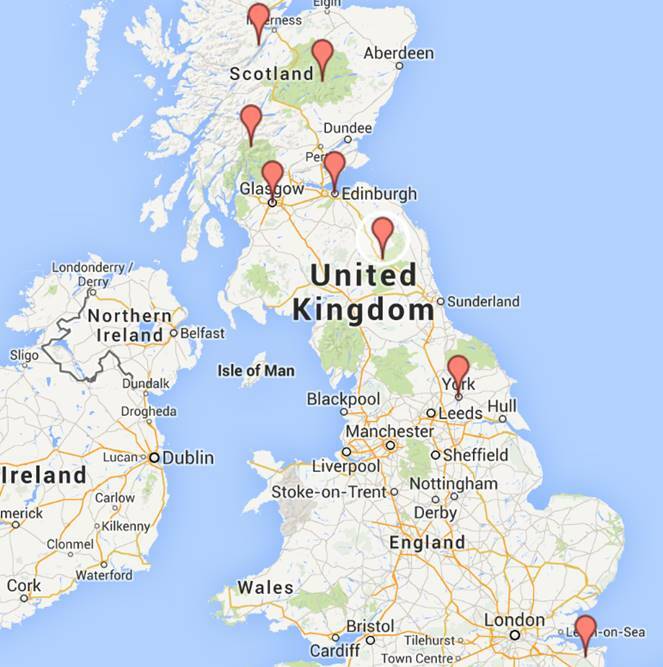 We leave for England to attend Julia's brother's wedding and then on to a grand tour around Scotland. We have the pleasure of traveling this time with two of our friends Cindy and Donald. They are experienced world travelers too and it will be great to share this journey with them. We take the awfully long and boring flight from San Francisco to Heathrow, watch many movies on Julia's iPad, and most likely get no sleep. We will pick up a car and then drive from Heathrow to the ancient city of Canterbury. Here we will stay with Julia's Dad and visit with her Mom and attend her brother's wedding. It will be a great event I am sure. 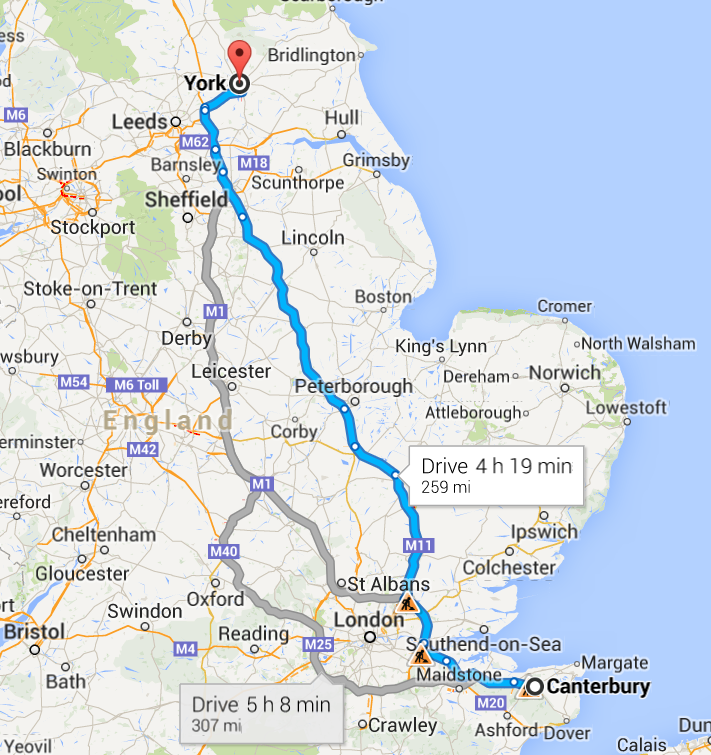 After the nuptials and family visits we will drive from Canterbury to York. Along the way we will pick up our travel companions Cindy and Donald at Epping tube station. I am sure lunch will be had by all. In York we will visit the York Minster. This massive cathedral has been the site of many buildings the first was a wooden structure built in CE 627. 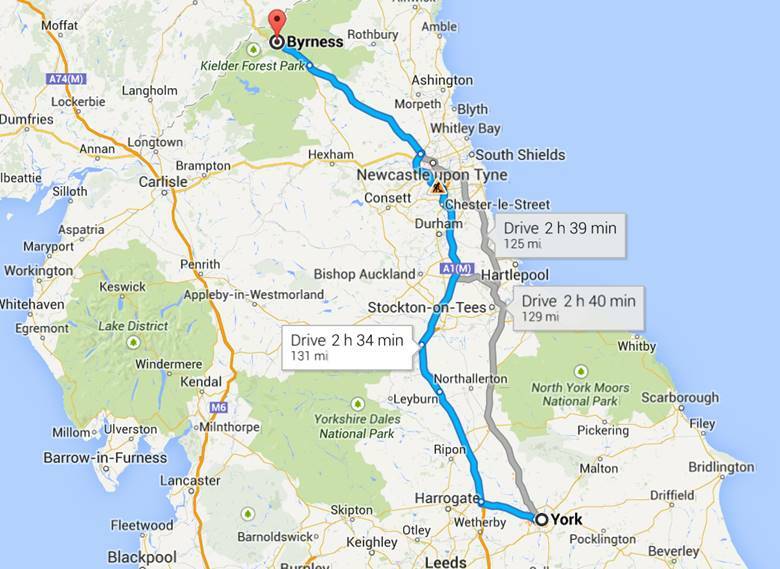 After touring the city of York we will drive onto Byrness where we plan to hike in the beautiful Kielder Forests. Hadrian's Wall is not too far from here so I am sure we will find time to visit the antediluvian fortification that was begun in CE 122 during the rule of Roman Emperor Hadrian. 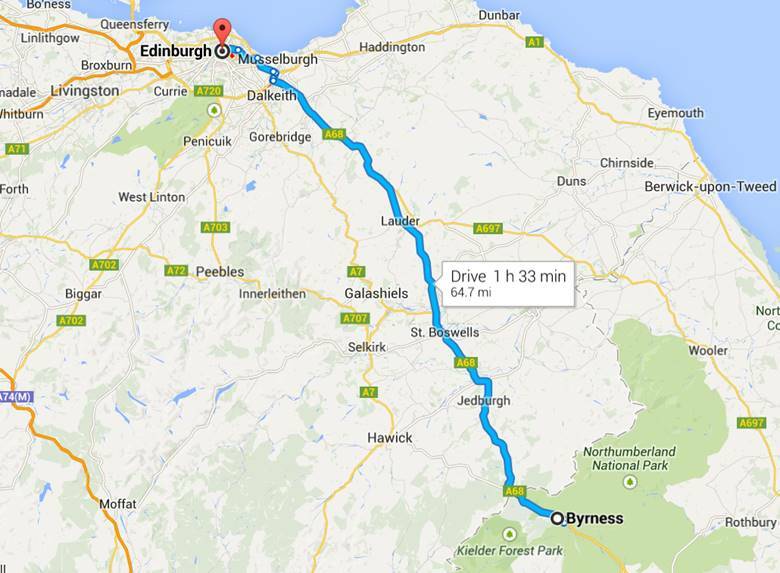 After the lovely forests of Byrness we will drive on to the colorful capital city of Scotland: Edinburgh. The last time I was here in this ancient city was in 1983. I am sure it has changed since I was last here; or has it? Anyway, we will find out as we plan to tour it and take in its many wonders. 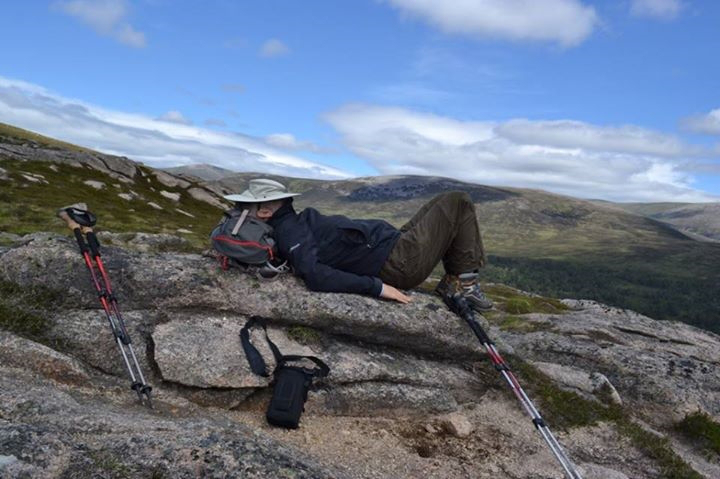 We are not fans of big cities and so our next stop will be the magnificent National Park of Cairngorms. Here we plan to hike and absorb the true essence of this vast land of the Gaels. On to the deep dark lake that is Lock Ness. Here we will hike and warm up our cameras in anticipation to eagerly snap that allusive photo of the water monster therein. From the monster's lair we will travel south to Crianlarich and more hiking about Lock Lomond and the National Park of Trossachs. Our journey with Cindy comes to an end at this junction as she plans to continue her travels around Britain on her own. We will drop her off at Inverness. 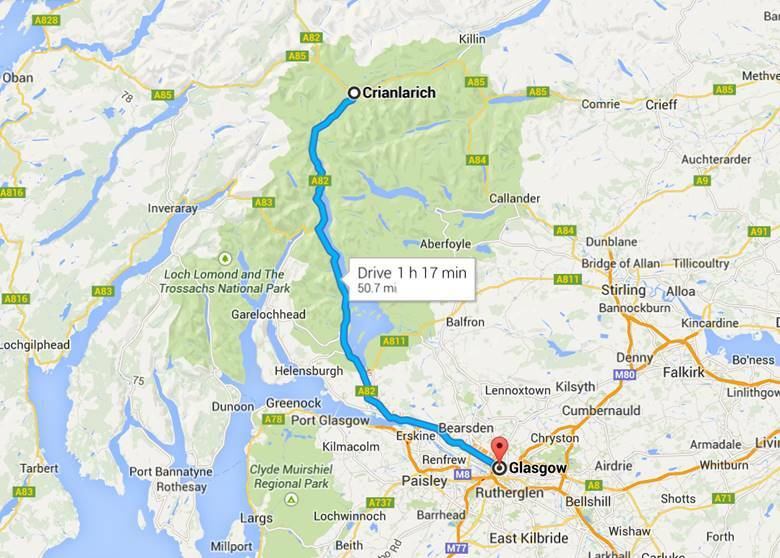 From here we drive to Glasgow where we will drop off our car and fly back to Heathrow and on to our Californian home. We left everyone in Kent behind and drove to Epping to pick up Cindy and Donald who are our traveling companions for this Scottish adventure. Along the way, to our first stop at the medieval town of York, we stopped in on the very lovely Cambridge. We visited here the Trinity College apartments of the great man Sir Isaac Newton. Unfortunately Julia ate something bad for lunch and became very ill. To make matters worse we encountered a road closure, which made Julia's condition even more unpleasant. Eventually we arrived at York and Julia, and the rest of us, collapsed into bed; separate beds! 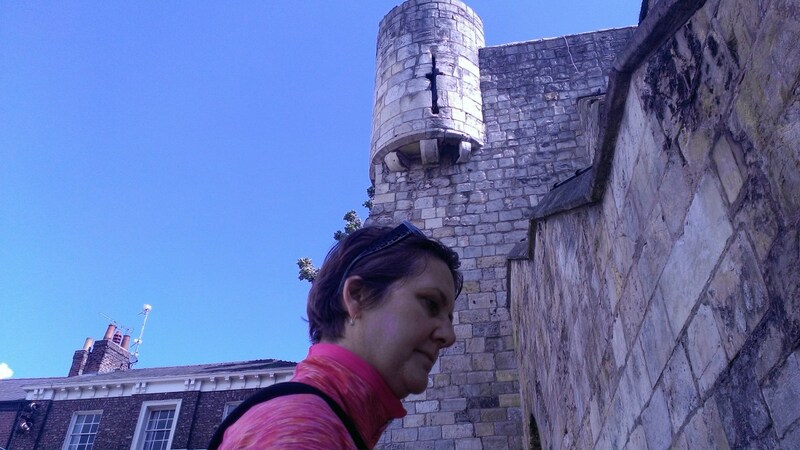 York is a wonderful city to visit and Julia was fortunately recovered enough to join in our exploration if this ancient town. As it is with most of these medieval cities it is enclosed by a wall. 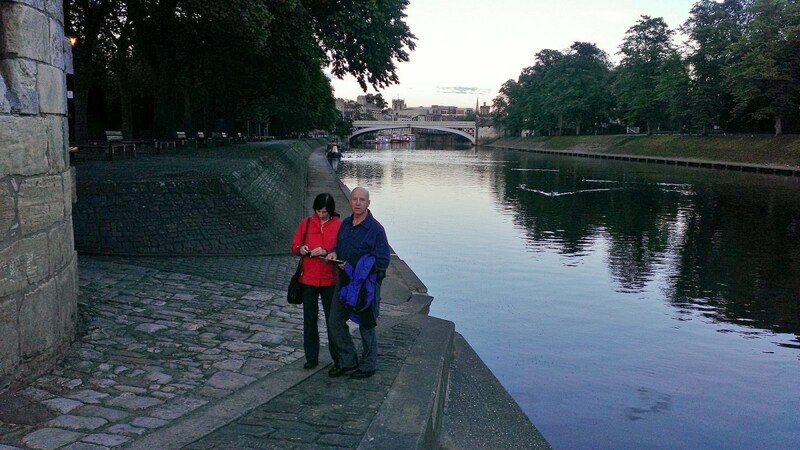 In York much of the old rampart is still in good shape and available to walk on. We climbed the ancient barrier and found it revealed to us magnificent views of the settlement and its humongous Minster. In the park we were surprised to find an army battalion firing off a 21 gun salute to celebrate the duke of Edinburgh's birthday; amazing. We were also pleasantly surprised to stumble on a Jamie Oliver restaurant to eat our lunch at. And a truly yummy lunch it was, but poor Julia could eat only bread and drink water. We left York and drove on to the lovely little village of Corbridge in Northumberland. This is the land of the Romans, but more on this later. Along our northern route we stopped at Durham where we ate our cheese sandwiches on the vast green lawn of the massive cathedral of Durham. Julia was recovering by now from her horrible food poisoning and was able to enjoy a cheese sandwich too, lovely. We soon reached our destination of Corbridge, gateway to Hadrian's wall. At this fabulous little English village we visited our first Roman ruin, located just outside of Corbridge. We begin our roaming Roman experience. 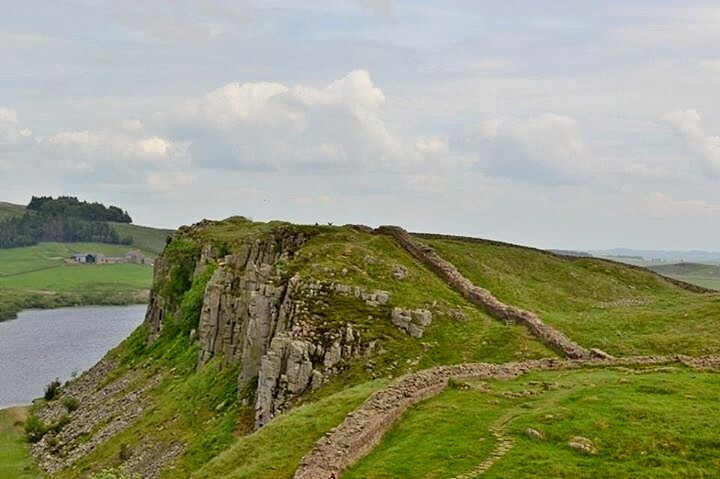 Hadrian's wall was another vain attempt, in the long history of humans, to keep us away from them. The Romans could not take the north of Britain; it was too cold, full of blood thirsty midges, and hostile, blue face, skirt wearing Highlanders. So they built the wall. Part of this massive engineering marvel were many forts and towns along its lengthy expanse. We decided to take an 8 mile walk from Vindolanda, the rich site of archeological finds, and Housestead one of many intriguing Roman remains. What a beautiful countryside Northumberland is. Rolling hills covered in deep green grasses dusted with bright yellow buttercups. All of these wonderful sights were framed by the ever present gray, brown, and white straight lines of rocks stacked high by industrious Romans. The rolling, green, treeless, hills of Northumberland slowly fell away to the slightly more treed, rolling, green hills of Scotland. Our first stop in the bonny land of the Scots was Jedburgh, which is where Mary Queen of Scots spent some time liaising with her third husband to be the earl of Bothwell. Alas, after this it did not end well for her. She ended up losing her head to her second cousin, Queen Elizabeth the first, Regina, the mighty queen of England. We discovered another sacked and ruined Catholic Abby in Jedburgh. This was thanks to that insightful and universal church purging King Henry the eighth, who had no need for the catholic hypothesis. 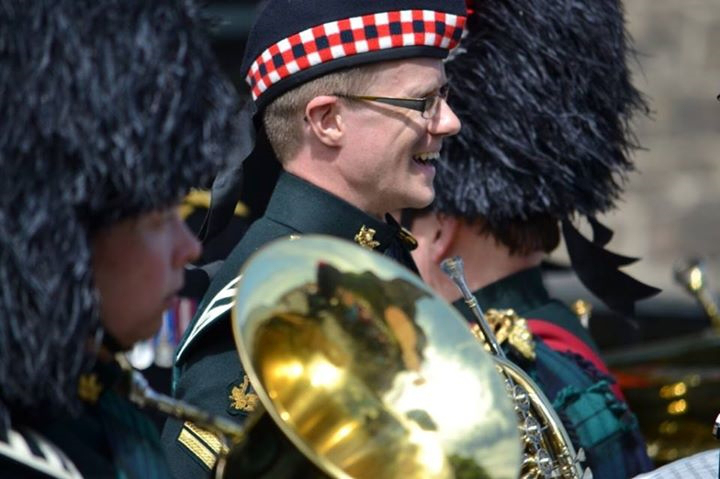 We bid Jedburgh farewell and continued our journey to the center of Scottish culture and thought: Edinburgh. Our first stop in this big old city of many burghs was the National Museum of Scotland. This is a well laid out museum and a fine place to visit. The natural history exhibit had the most unique catalogue system I"ve ever seen; well worth the time to see. Castles, castles, and more castles. 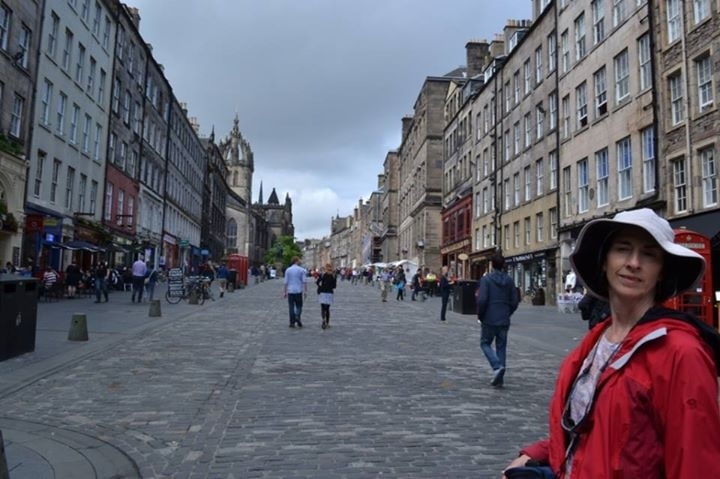 Scotland is noted for such things and there is none so full of pomp and circumstance as the stupendous Edinburgh Castle. When we arrived for our visit we were greeted with another 21 gun salute. It seems wherever we go in Britain we receive the same greeting. This castle was once the home of the ill-fated Mary Queen of Scots. We wandered around her humble abode, with hundreds of other tourists, and could not help but feel sympathy for this woman who had made several bad choices in husbands. Sometimes it's not good to be the king or the queen. 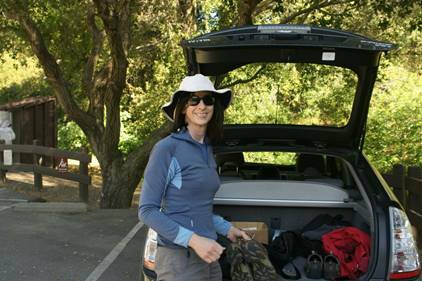 Our travel companions never cease to amaze us with their unending touring stamina. When Julia and I have run out of gas, Donald and Cindy are off and running. This was definitely the case this day as we left the dynamic duo to their own devices and returned to our hotel to rest up from our day of playing tourist. Are well, tomorrow is another day. We bid Edinburgh goodbye and made our way north into the Scottish Highlands. The flat lands of Firth of Forth slid slowly away and were replaced by gentle rolling tree-lined hills of the hinterland. Our 11 o"clock coffee break was taken at the surprisingly large town of Blairgowrie, which was halfway on our journey to the Braemar Lodge in Cairngorms National Park. 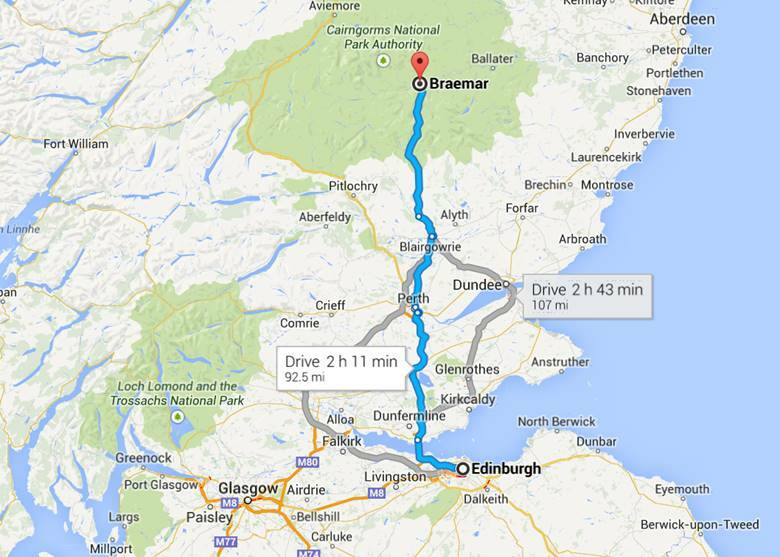 Our first task after arriving was to walk the scenic local path that follows the river Dee around Braemar village. 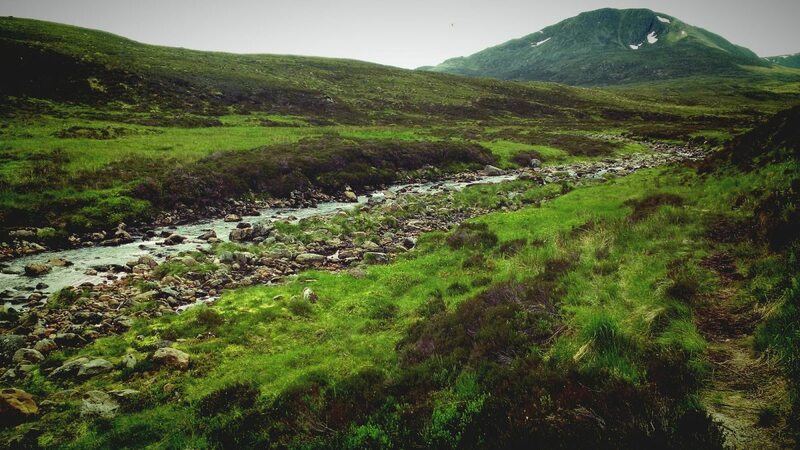 It was our first real up close view of the Scottish countryside, and it was stupendous. Day two in the magnificent Cairngorms National Park and we headed to The Linn of Dee to hike a beautiful Scottish Highland valley. 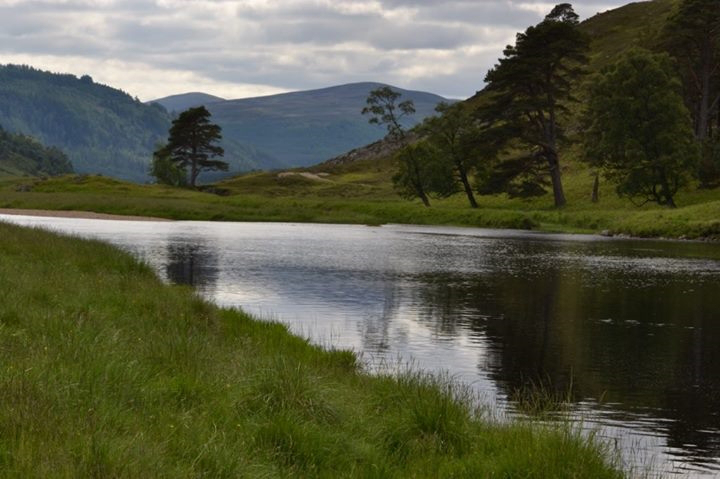 We followed the softly winding and gently flowing River Dee to the base of one of the many rolling peaks surrounding. Then we climbed up to its summit to take in the grandeur of this inspirational countryside; flabbergasting. Once more in my life I was privileged to eat a cheese sandwich in an awe inspiring place. And this time the cheese was Wensleydales and I shared it with good friends. Day three in the magnificent Cairngorms National Park. Oh my Darwin! How magnificent the Scottish highlands are. 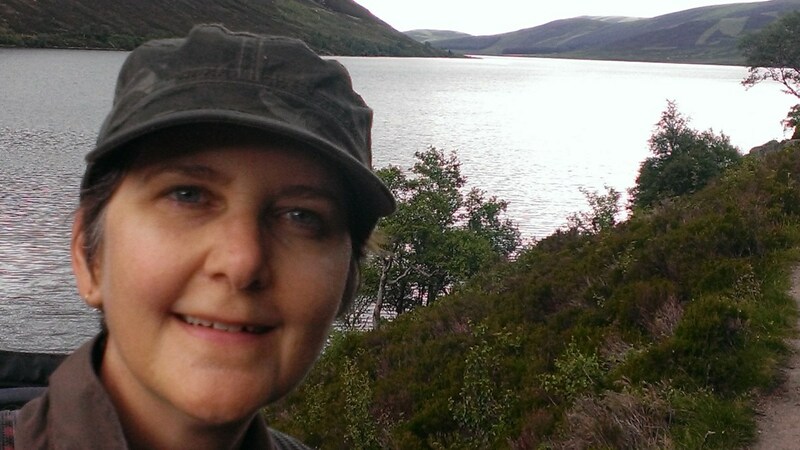 We walked 12 miles around Loch Muick (Mic) today, and no more glorious a mile has been hiked by anyone before; unless you"ve hiked around the lock yourself. We ate our cheese sandwiches on the doorstep of Queen Victoria's Scottish getaway, which gave us excellent views of Lock Muick and a good conversation with a local Scottish man who we could barely understand, but whose accent hypnotized us. After our cheese interlude we climbed up a 1,000 feet to the top of an overwhelmingly beautiful waterfall. From this high perch we could see far and wide into the crystal clear sky to a vista of Scotland I am privileged to have experienced. Breathtaking. Whiskey, whiskey, everywhere. And by the end we had ne"care. 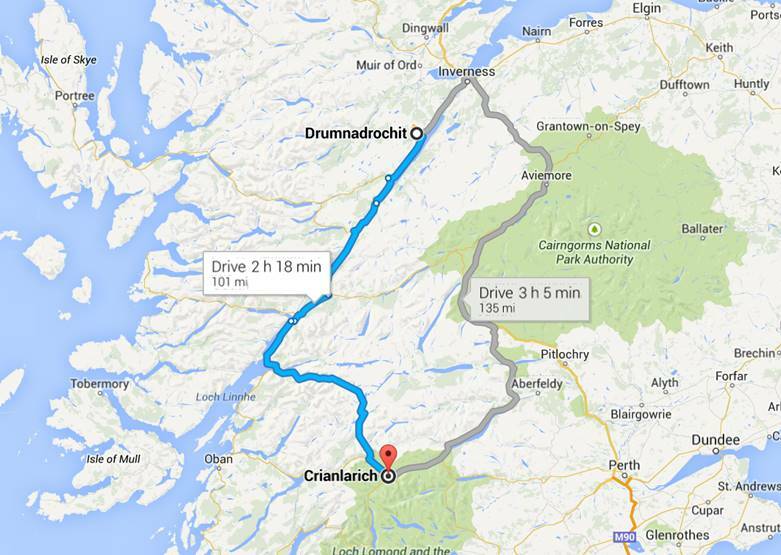 Today we drove the whiskey way from Grantown on Sprey to Albalour. This area is like the Napa Valley is to wine. Many of the major manufacturers are there and many offer tours and tasting. 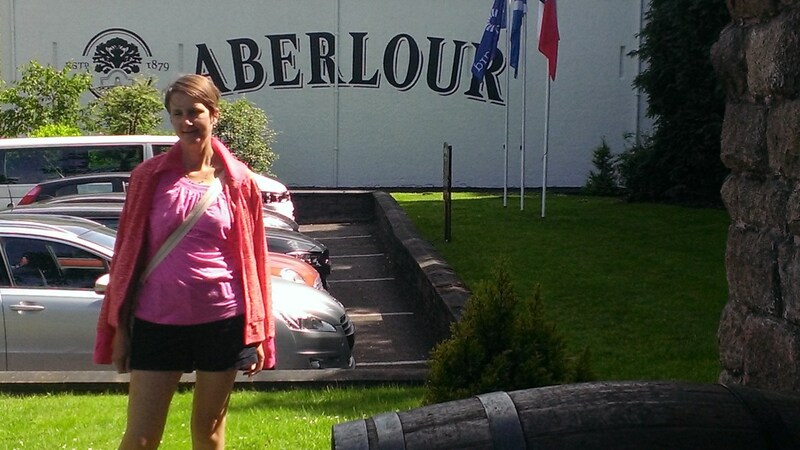 We took a tour at Glenlivet and tasted its malty offerings. After this we tasted our way around several other notable distilleries. By the end of the day Donald, Cindy, and I were well lubricated. Donald guided us through our spirited challenge and tutored us in the finer points of the fiery brew. Don"t worry Julia was our designated driver and kept us safe in our left-handed world of hedgerows and single file roads. 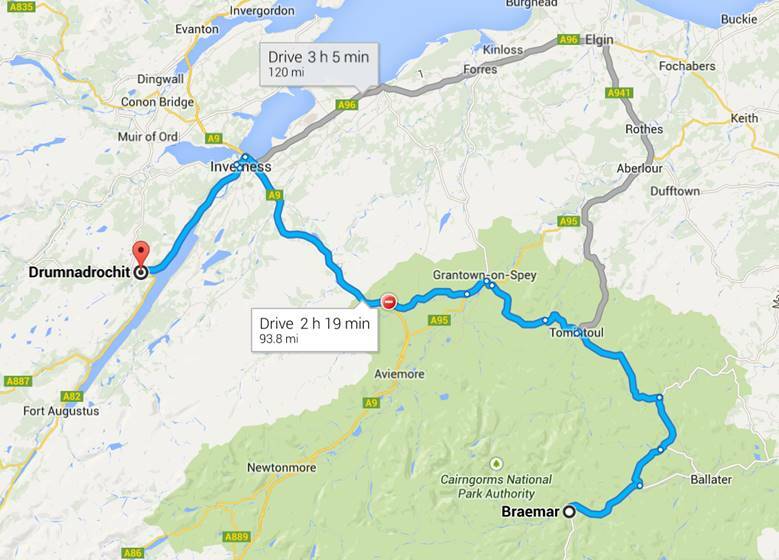 She even managed to drive us all the way to Lock Ness our final destination for the day. The delicate cones of wild, purple, white, and pink orchids surround us, while deep yellow butter cups engulf us. Here and there a purple foxglove reaches up to the cloudy skies of the most wondrous place on earth; the Scottish Highlands. This was our experience today as we walked the boggy and extremely diverse and complicated bio-mat covering the hills and dales of the Glen Affric (Lock Beauly) area just a short drive from Lock Ness. To be surrounded by such intricate life forms all competing and cooperating with each other is somewhat dizzying. But after awhile you being to understand how it might work, this intricate web of life. Of course walking in a bog is a bit trying, but it was well worth the effort to experience this amazing place. On the road again, just can't wait to get on the road again; but this time to Loch Lomond. Boy oh boy this part of Scotland is very green and very attractive. We ate our lunch in Glencoe and what a grand surprise this place was. It is a massive collection of rocky 3,000 foot mountains all covered with the now classic Scottish deep green bio-mat. We"ll be back to hike this craggy area. The little village of Crianlarich in the Loch Lomond and the Trossachs National Park was our resting spot this night. More on this beauty spot later. 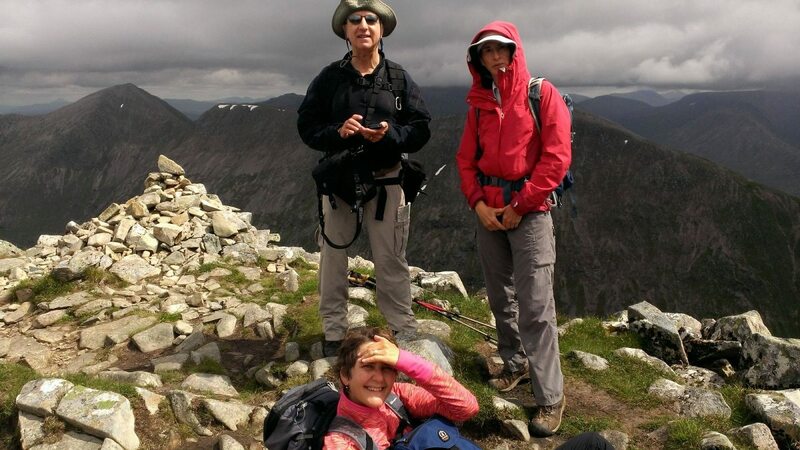 We climbed two Munros in a row today: Stob Coire Raineach, Stob Dubh, and Buachaille Etive Beag, which is not a Munro because of a small technical detail; but is as tall as one. This meant walking up 3,000 feet, then down 1,000 feet, then back up 1,000 feet, and finally down 3,000 feet. It was a tough hike, but I assure you well worth the pain my old bones had to endure. The views of the glacier carved area of Glencoe is something that will move the coldest heart. I don"t think I"ve seen so many shades of green before. The other treasure of this hike was all of the wonderful people we met. 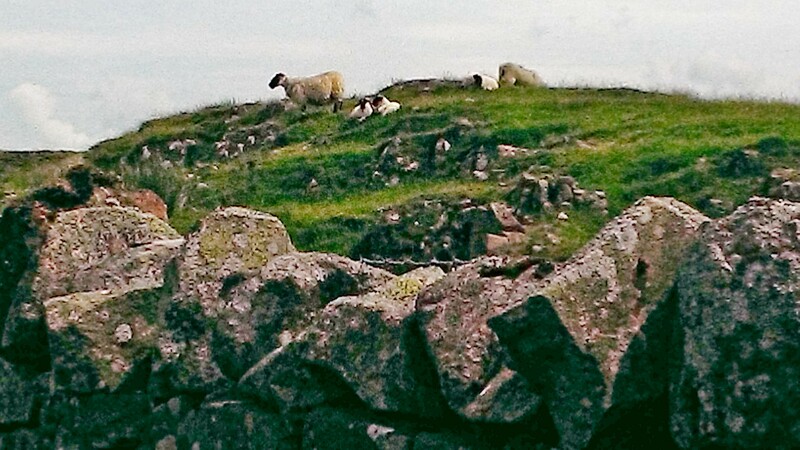 Local Scottish hikers enjoying their lovely land and happy to share it with you. An 8 mile hike along Loch Lomond was our pleasure today. We started at the quirky little village of Tarbet where we took a short ferry ride across the lovely loch and began our rambling beside the gently rolling lake side shores. Rowardennan was our destination where supposedly the ferry would be waiting to return us across the Loch. We were all tired from our triple summiting yesterday and so we hoped for an easy walk. At first the trail slipped closely along the lakeside. Occasionally it would rise gently and then fall softly again. We were canopied by a dense forest of Scottish pines wrapped in bright green mosses and inundated by lush green bracken-ferns. All was well in the world. Then in a merciless act of treachery by those practical joking gods the trail widened and began to climb unendingly and relentlessly. Oh, Odin you evil joker you. Well, all good things must come to an end and so it is with our Scottish Tour. We spent 15 days trekking from the southeast corner of this bonny land, to the north central highlands, visiting whiskey distilleries along the way, then on to the west central loch lands, and finally to the southwestern rocky mountainous regions of this amazing place. We walked about 50 miles on hiking trails and approximately 10 miles around towns. We encountered friendly people in every location. People who seemed to run at a slower speed, more laid-back, less troubled. Oddly, at least to me, we met many people from Hungary and even a young man from Transylvania; truly! 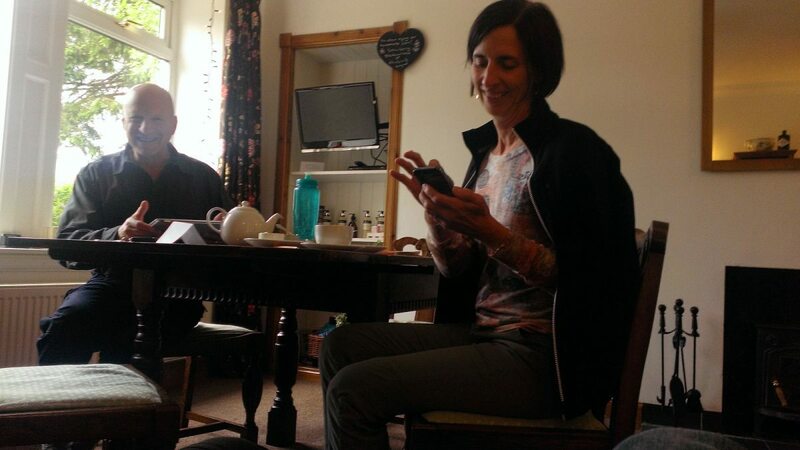 But everyone we met were welcoming and helpful to us, and more importantly understanding of our foreign ways. 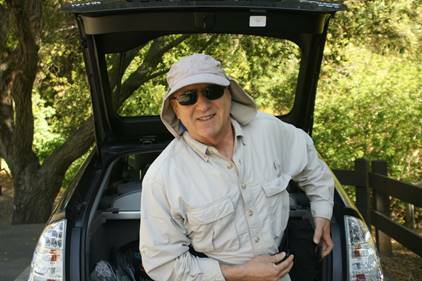 I"ve had the privilege to hike on every continent on this planet, including Antarctica. And I"ve experienced some really breathtaking scenery. Scotland really surprised me with its natural beauty. This stupendous land is up there with the best places on Earth to hike; without a doubt. I had visited this magnificent place 35 years ago on a rather fleeting trip. What that jaunt did was inspire me to want come back one day and really experience the place close up. This is what I was able to achieve on this trip, and my 35 year old expectations were simply blown away. If Scotland isn"t on your bucket list, well you"ll have missed a truly grand and life expanding place. It truly is a broon moonlit, nit, to nit.